Since opening our doors as a top structural engineering firm, our structural engineers have provided excellent services throughout Georgia. We now provide services in cities such as Augusta, Atlanta, Savannah, Macon and a long list of other areas within the Peach State. Our licensed structural engineers in Georgia have extensive experience, which allows us to work on projects ranging from existing building modifications in the more historic areas of Georgia, to some of the most state-of-the-art projects like that of the Georgia Aquarium. 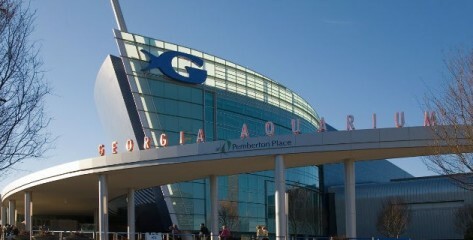 Our structural engineers of Georgia most recently were involved in designing some of the underwater exhibits at the Georgia Aquarium. Our team is passionate about providing high quality service and our structural engineers in Georgia are dedicated to delivering the best results to our clients with projects located in Georgia. The staff at Structural Innovations Engineering & Consulting, PC, is well versed in the Georgia Building Codes for both residential and non-residential construction projects. These regulations are continuously changing, so we keep our entire team of licensed structural engineers up-to-date as they change to ensure our customers receive the highest level of service every step of the way. If you have a questions pertaining to structural engineering in Georgia, do not hesitate to contact our structural engineers. Together we will answer any question you have, and get started on your project today!